I picked up this petite writing desk at an auction. What drew me to it was its simple lines and the dainty drawer knob. The smaller size was also a bonus because some days I just don't feel like lifting heavy furniture! 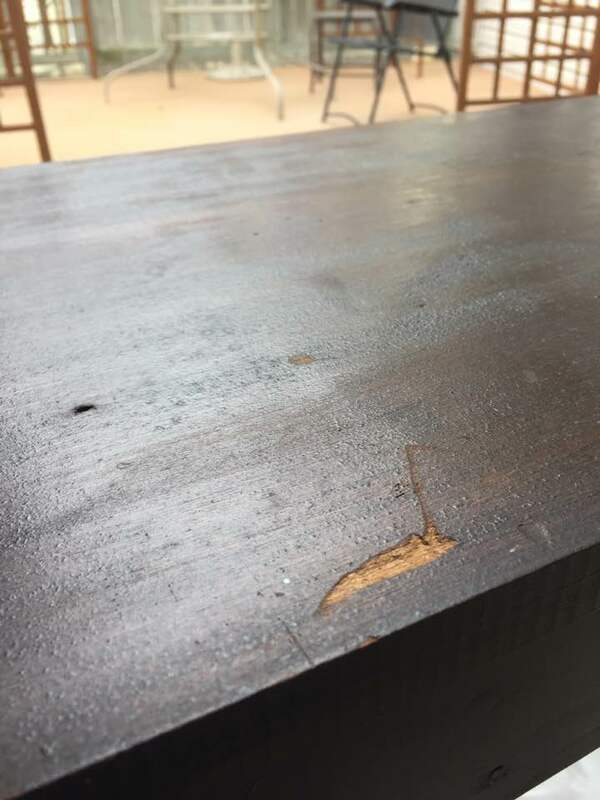 The desk and matching seat are made of wood and the construction is solid. But the finish was a little rough, especially on the top with a few gouges and nail holes here and there. 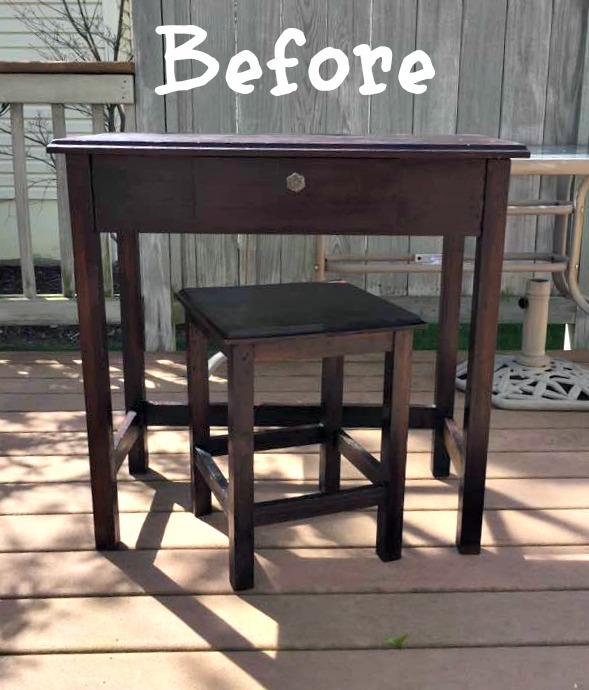 My plan was to sand the old finish off and give it a new stain. But sadly it just didn't have the beautiful grain that I was hoping for. An orbital sander quickly removes the old finish. Instead I decided to paint the entire desk including the top. I patched the holes with wood filler and sanded those areas smooth. Wood filler used to patch holes. My design plan was to keep the color scheme simple but still infuse a bit of color. 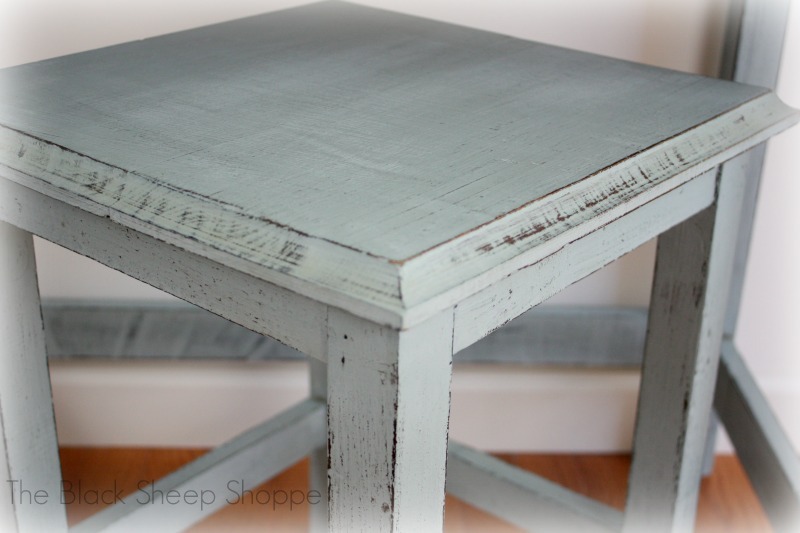 So I painted the base and seat in Duck Egg Blue and the top in Coco. in Duck Egg Blue and Coco. 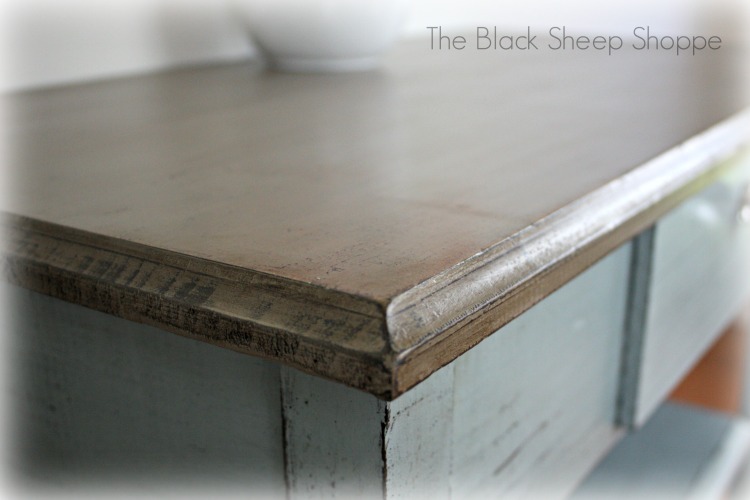 I applied a light touch of distressing throughout with a touch of heavier distressing here and there. 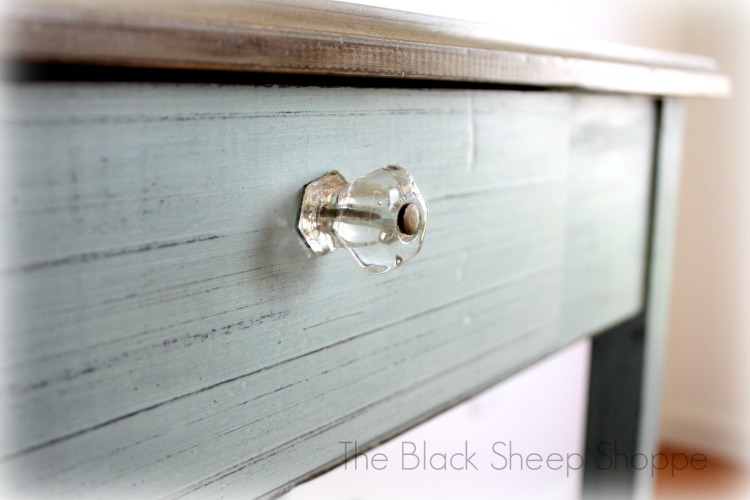 The light blue creates a beautiful backdrop for the original glass knob. 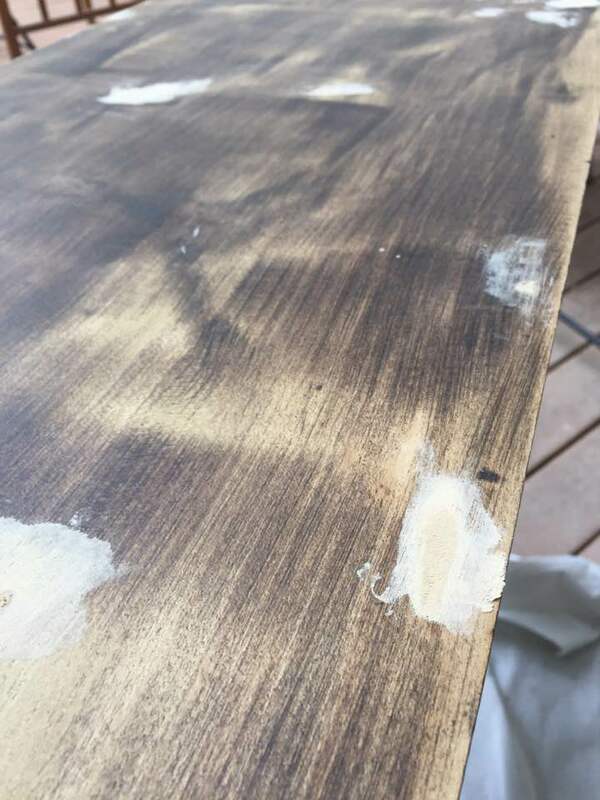 The photo below shows how the roughness of the wood peeks through the paint after distressing. 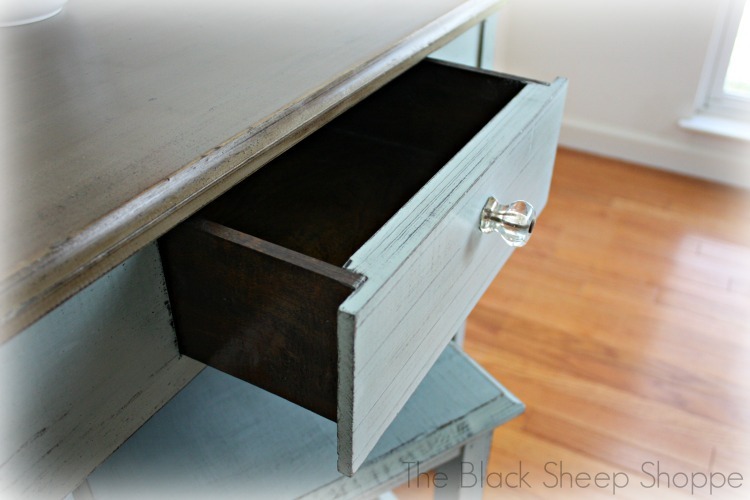 The single drawer provides enough space to store pens, paper, or a tablet. I sealed the paint in soft clear wax. 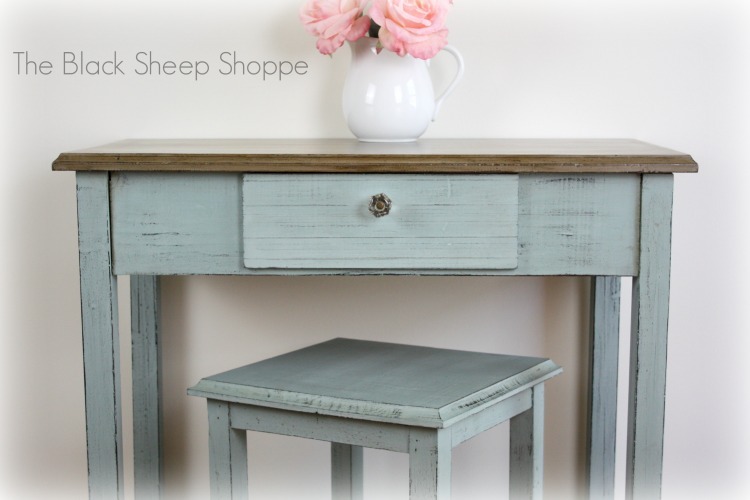 I wanted to keep the color scheme light and bright but added a subtle touch of dark wax on the edge of the desk top for the transition between the two colors. Subtle touch of dark wax added between colors for transition. 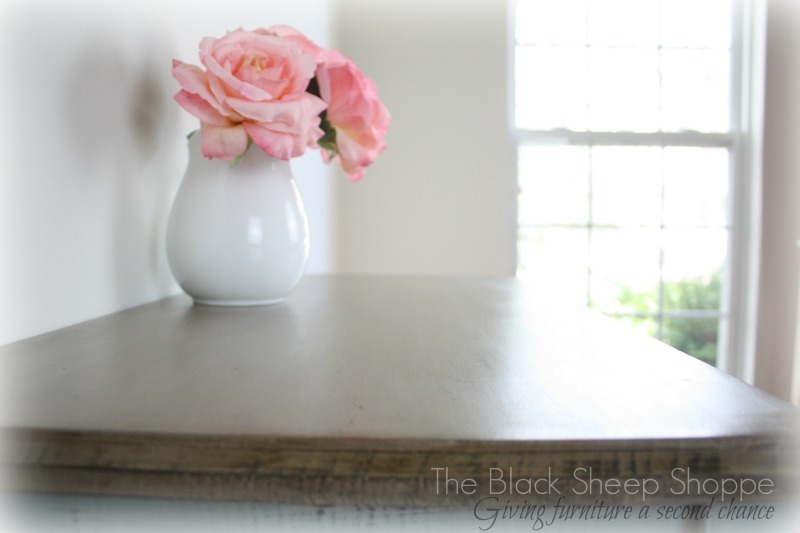 So far it's been all about the desk, but another wonderful feature is the matching wood seat! It tucks away perfectly underneath the desk. I gave it the same finish as the base of the desk for a cohesive look. The photo below shows how smooth the surface of the desk is now. Desk top painted in Coco. Orbital sander and variety pack of sand paper (60, 80, 100, 150, 200-grit). 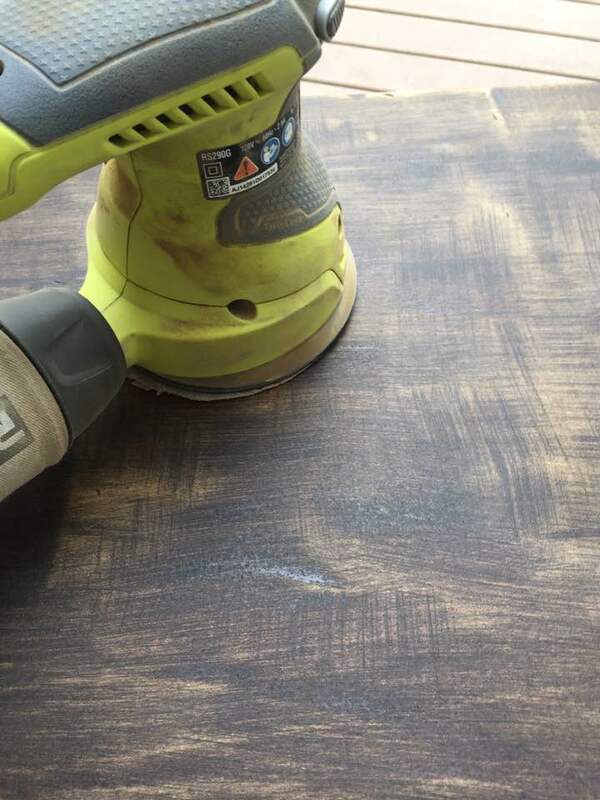 The sander is an investment, but it makes quick work of the job and many times eliminates the need for messy chemical strippers. You can find it for $50 or less, and if you work on a lot of projects it's worth it. 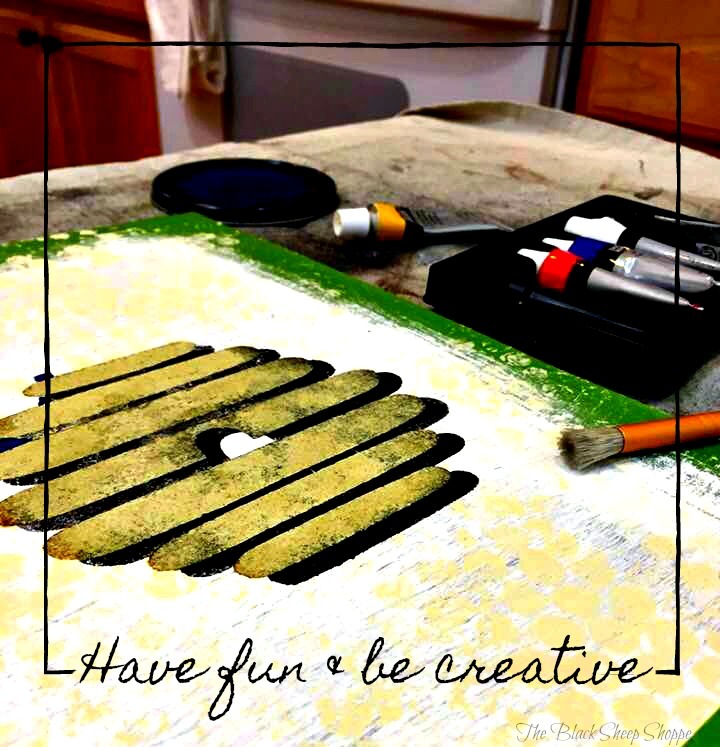 Alternatively you could sand by hand or use CitriStrip to remove the finish and hand sand any blemishes away. 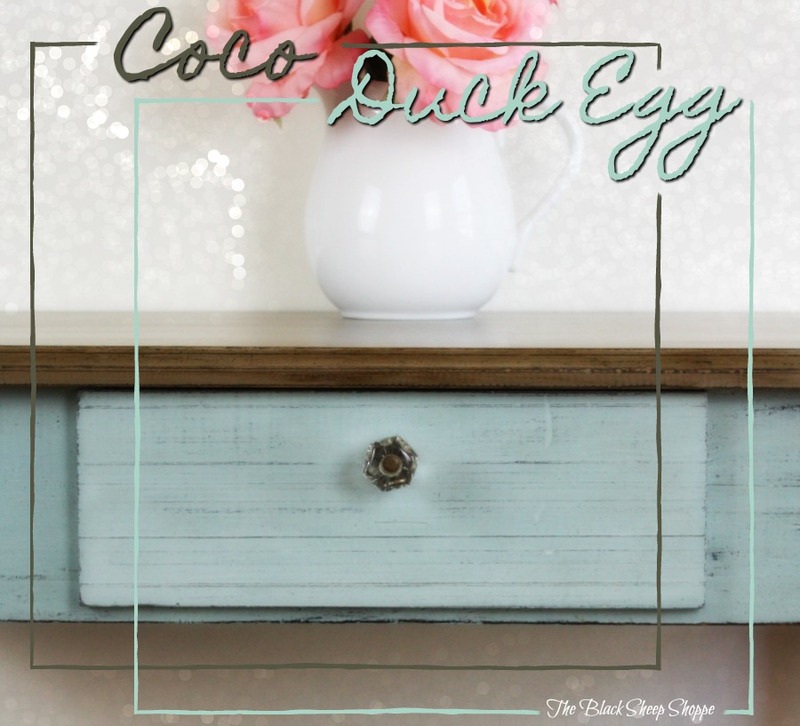 Paint & Wax Products Duck Egg Blue and Coco. Soft clear wax and a touch of dark wax. 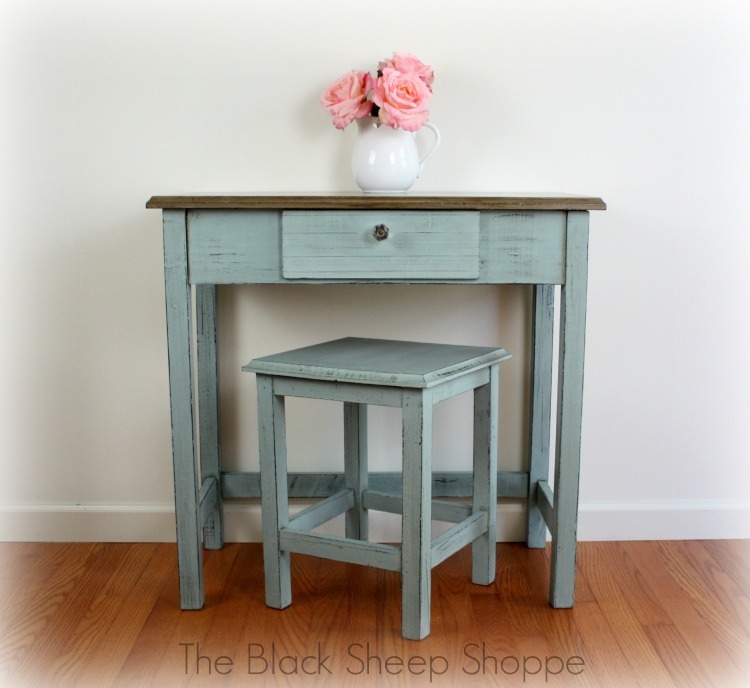 (Annie Sloan Chalk Paint products.) 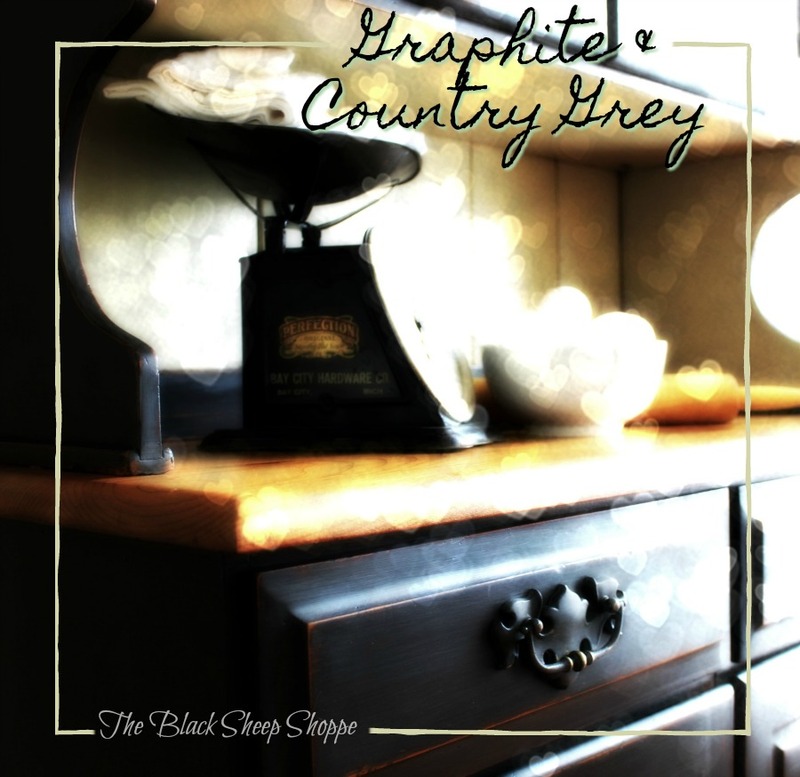 Click on the link to find where you can by her products from local stockists. Some stockists also ship via online orders.